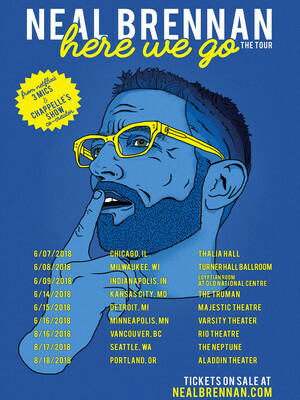 Acclaimed New York based comedian and co-creator of the much loved 'Chappelle's Show,' Neal Brennan, will go on tour across America this summer. Known for his hilarious stand up as well as writing cult classic 'Half Baked,' the comedian has been making audiences laugh since he was 9 years old. Also a contributing writer of many of your favorite TV shows, Brennan's talent extends beyond stand up and he has acted in, directed and written a collection of shows and films. One of his latest projects '3 Mics' sees the comedian at home on the stage cracking jokes. The solo show, that's now on Netflix consists of Brennan using three microphones, one to deliver one liners, the other to perform his stand up and the third to confess his life's struggles. The show has been praised for its hilarity and honesty. Seen Neal Brennan? Loved it? Hated it? Sound good to you? 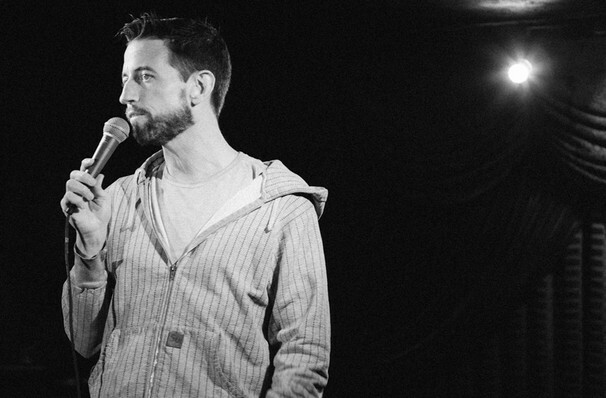 Share this page on social media and let your friends know about Neal Brennan at Stateside. Please note: The term Stateside and/or Neal Brennan as well as all associated graphics, logos, and/or other trademarks, tradenames or copyrights are the property of the Stateside and/or Neal Brennan and are used herein for factual descriptive purposes only. We are in no way associated with or authorized by the Stateside and/or Neal Brennan and neither that entity nor any of its affiliates have licensed or endorsed us to sell tickets, goods and or services in conjunction with their events.